The Shed in Healdsburg has some of the best lighting for food shots in Sonoma County, and plenty of sleek designs and colorful produce for backdrops. 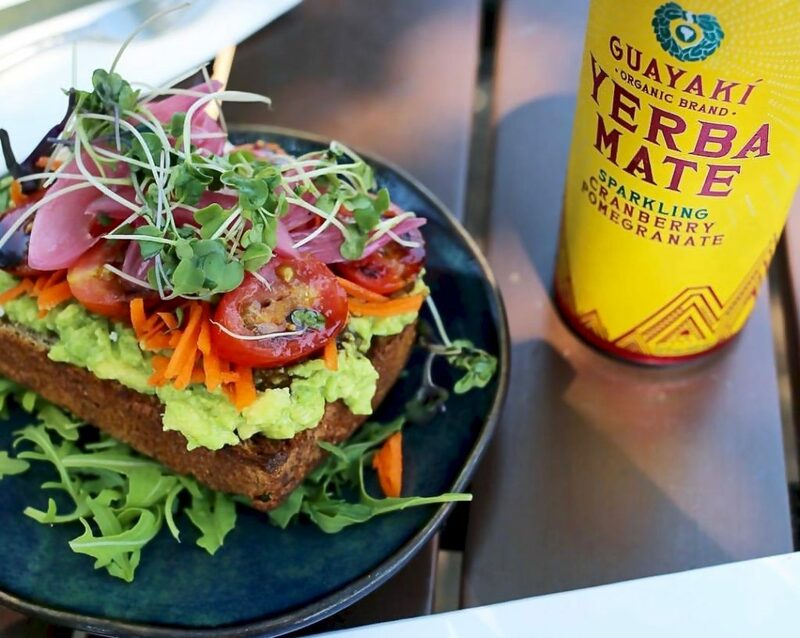 The vinegar shrubs and house-made kombucha will stand out on your feed. Image by @slucasdesigns. 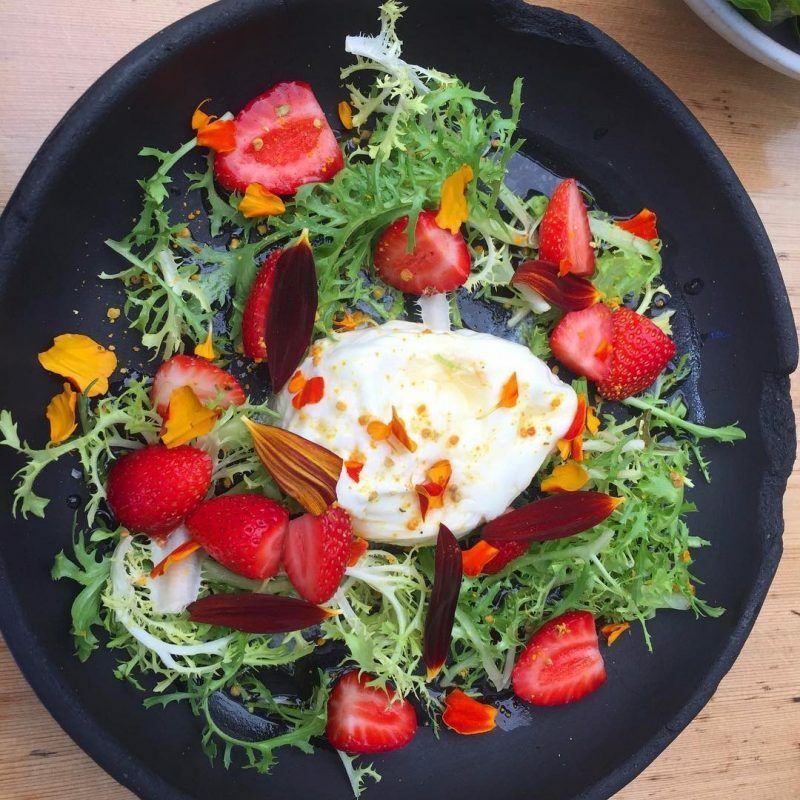 The Drawing Board in Petaluma, a new downtown restaurant, is all about fresh, local food and clean eats. 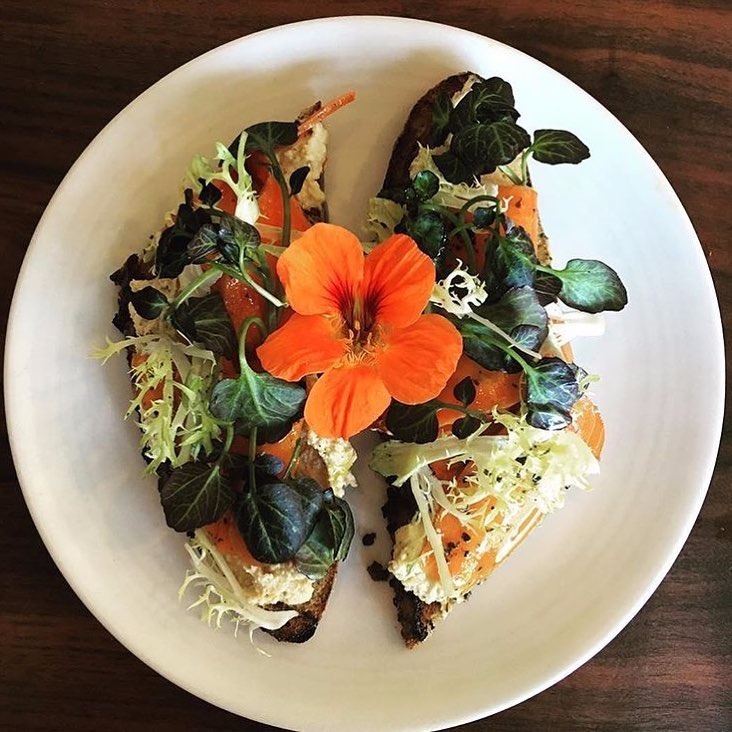 The plates incorporate the colors of the rainbow; the Carrot Lox Tartine is a burst of fall shades; orange, red and yellow, and smoky flavors. Image by @TBDPetaluma. Amy's Drive Thru in Rohnert Park makes the list because of its colorful aesthetic, including the branding on the sunshine-yellow trays. Their mac and cheese with fresh tomatoes and green onions is one of the prettiest fast-food eats we've seen. Image by @aveganandher. The Fremont Diner in Sonoma is packed with the picture-perfect: vintage decor, rusted retro memorabilia, teal picnic tables outside and comfort classics. A shot of chicken and waffles is guaranteed to be an instant hit with your followers, and so is the "Greetings from Sonoma" mural outside. Image by @genevieveyow. 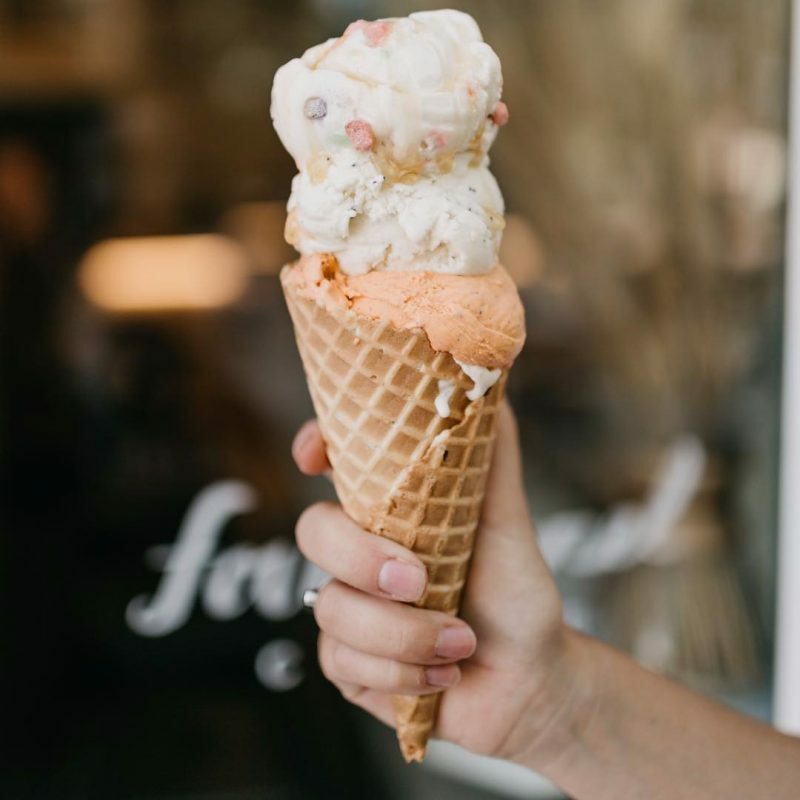 No foodie feed is complete without a few shots from Sonoma County ice cream shops. 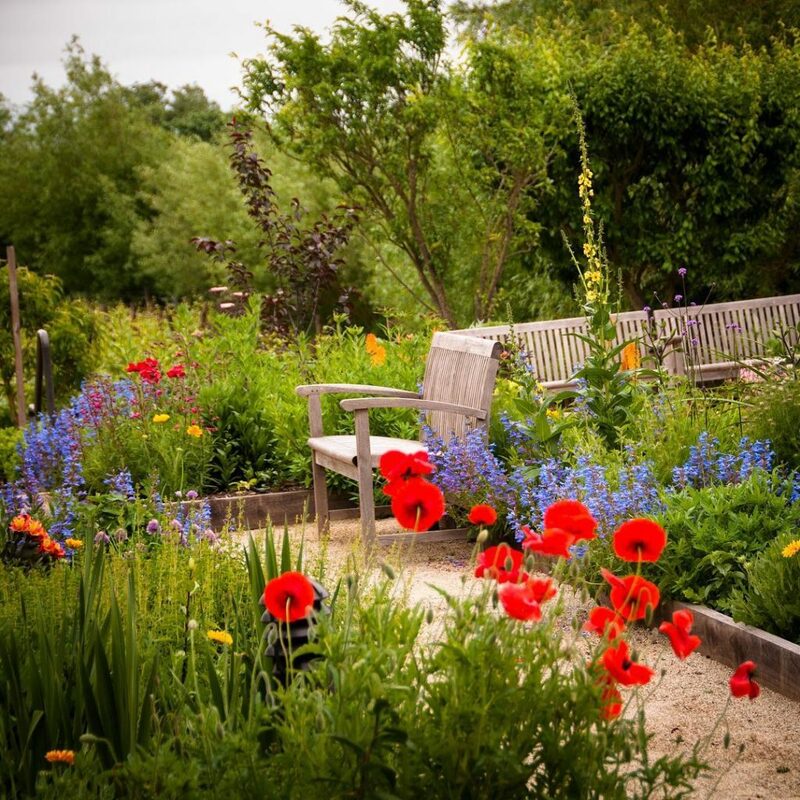 Instagram favorites include Noble Folk in downtown Healdsburg and Nimble & Finn's in the town of Guerneville. Image by @NobleFolk. 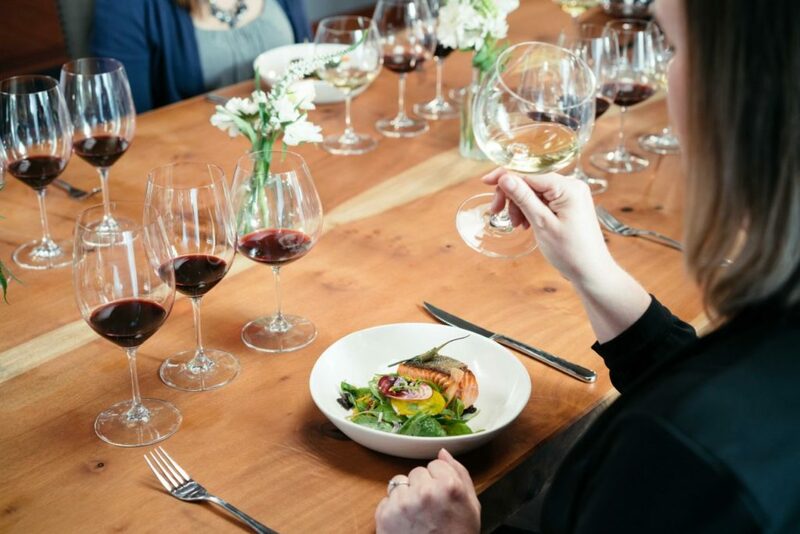 Single Thread Farm and Restaurant in Healdsburg offers a once-in-a-lifetime opportunity to impress your fellow foodies. The super luxe restaurant serves up 11 course dinners, catered to each guest's palate. Expect to be shooting and sharing photos for at least three hours, between every dish. Image by @heathalocks. Juanita Juanita in Sonoma, a popular roadside restaurant catering to vineyard workers and local residents, serves up authentic and creative Mexican meals. The Garlic Garlic Burrito with prawns made our list of the 15 Best Burritos in Sonoma County. 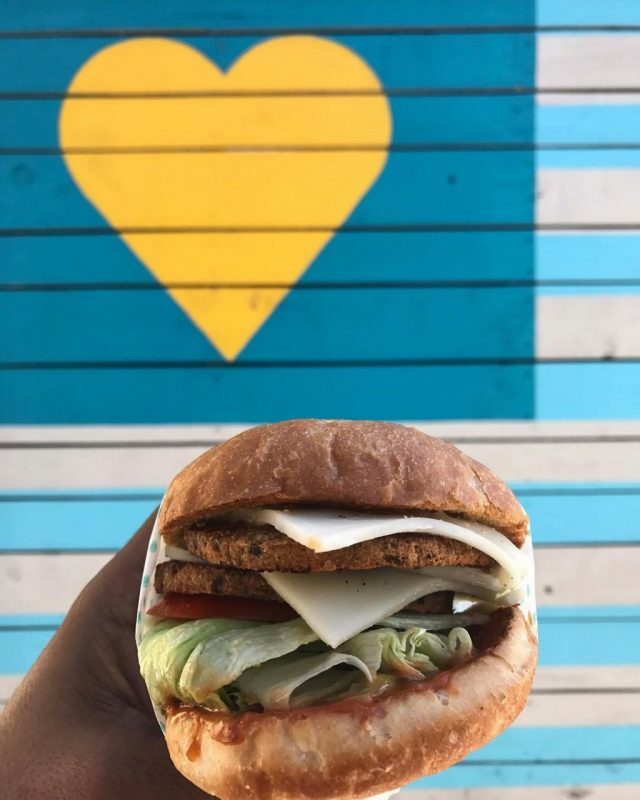 Image by @actress_eats. 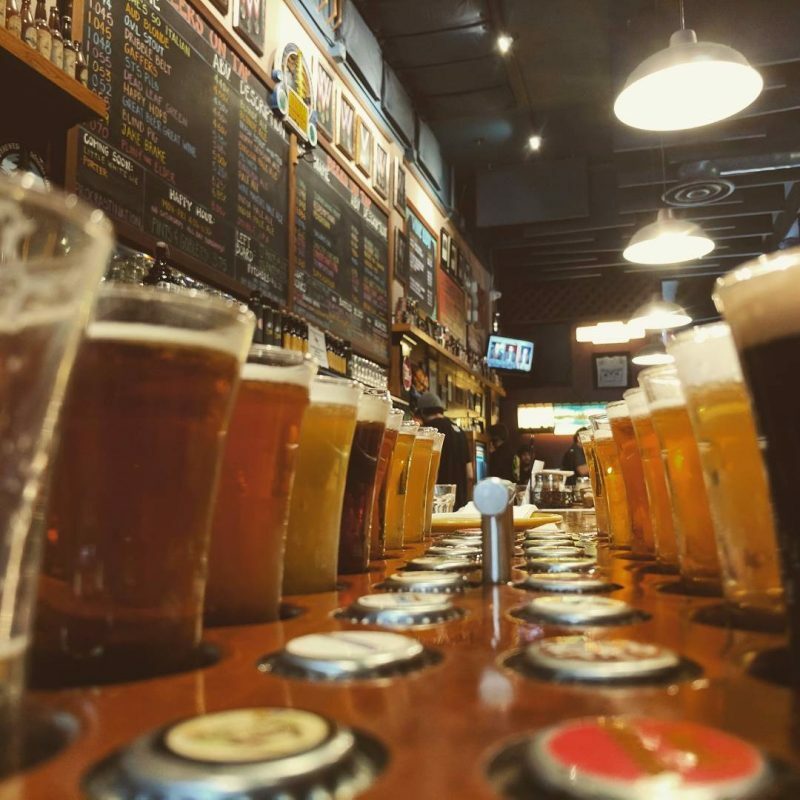 Russian River Brewing Company in Santa Rosa, home of the Plinys, is one of the most tagged breweries in the world. Visitors line up for hours to sip on the coveted brews, and share their experience on social media. Guests post photos of their beer flights, boxes of Pliny the Elder and images of the iconic beer list - the brewery sign even made it into an episode of South Park. Google it. Image by @dubiousachiever. 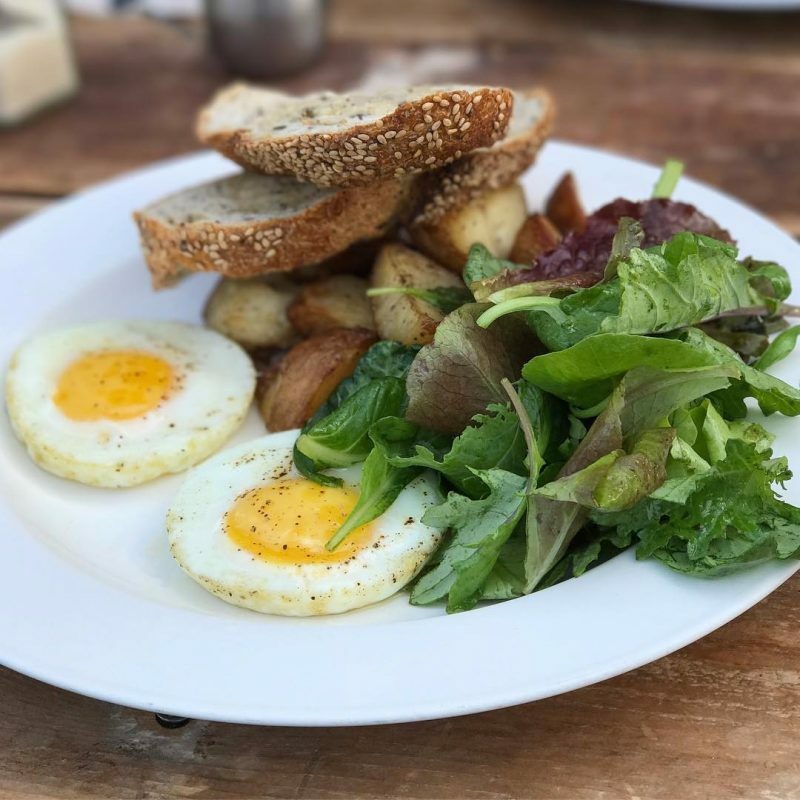 The Naked Pig in Santa Rosa, located in the artsy SOFA district, is open for breakfast, brunch and lunch. The small cafe has a big personality and serves up delicious-looking plates, so make room for your elbows—you'll want to take overhead shots. Image by @appleisletobigapple. 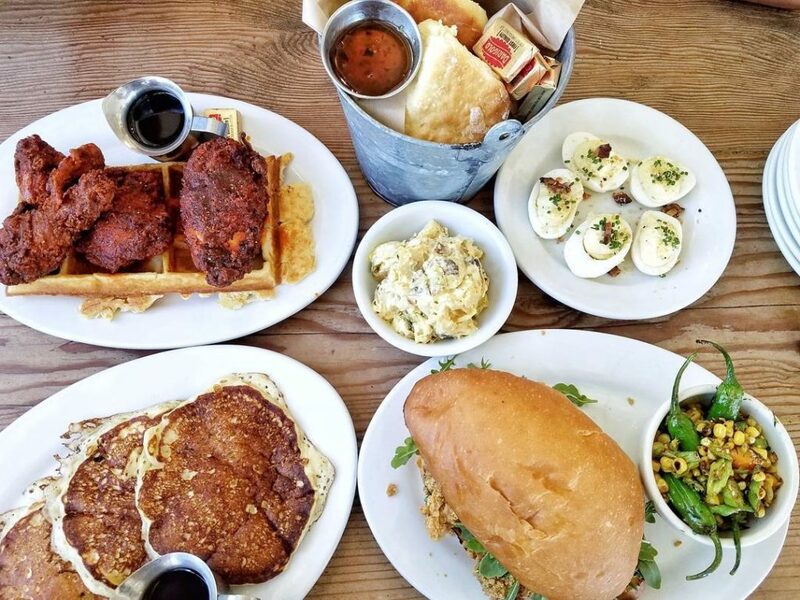 The Parish Café in Healdsburg recently made Snapchat's list of best beignets in the U.S. Chef and owner Rob Lippincott, a New Orleans native, sure knows what he is doing with Cajun food. Plates of jambalaya, fried green tomatoes and okra, served on the outdoor patio, will add a splash of color to your shots. Image by @emily_e_martin. 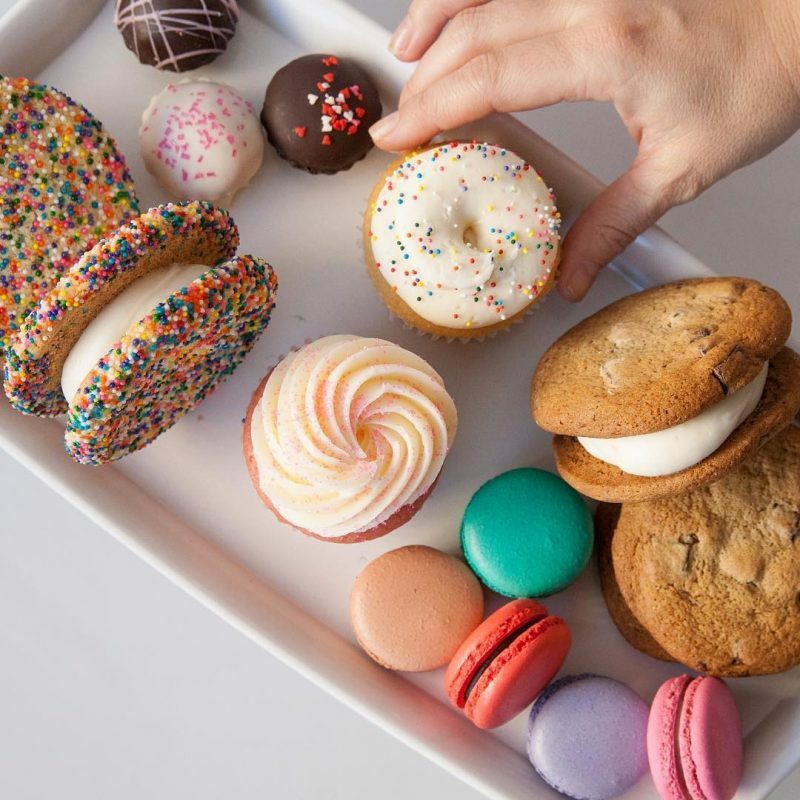 For sweet treats and shots, Instagram-favorite cupcake shop Sift Dessert Bar makes pretty pink pastries and other colorful treats. Newcomer Bump City Bakery in Petaluma specializes in gluten-free and vegan sweets, some of them spiked with booze. Image by @ubereats. 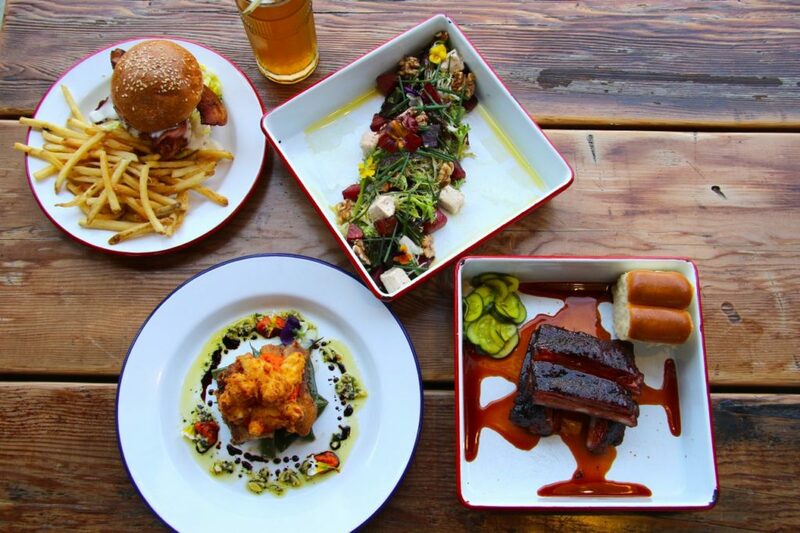 boon eat + drink in Guerneville is worth the wait on the weekend. 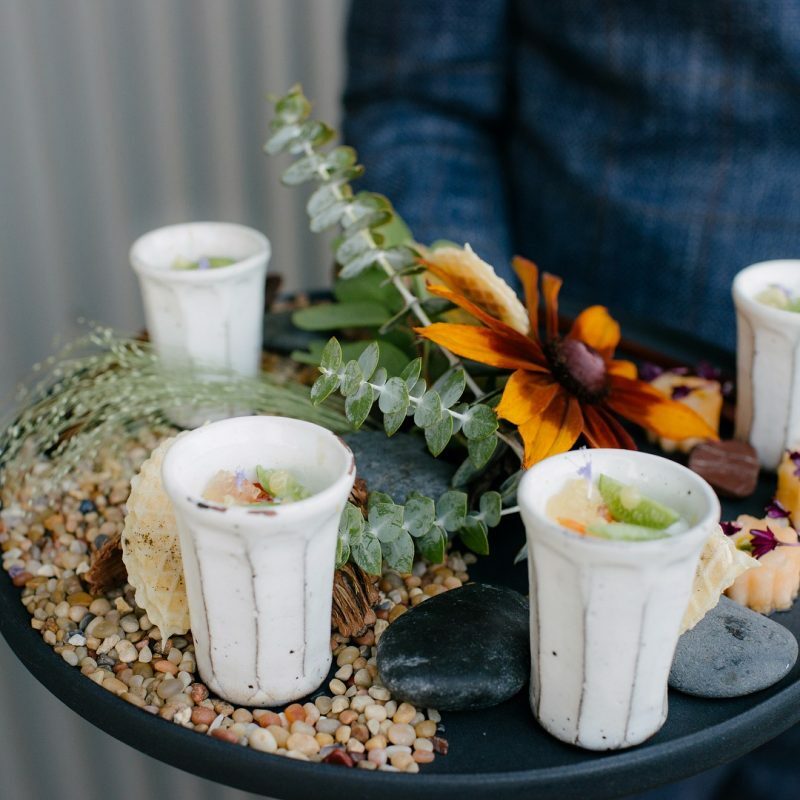 The colorful food, made with organic ingredients sourced from the restaurant garden, contrasts with the minimalist decor and simple white plates. Image by @booneatdrink. Trading Post in Cloverdale cooks with seasonal ingredients picked at their peak ripeness and calls their cuisine “harvest to table.” Add an in-house artisan bakery and you can start your day with a cup of coffee and a scone, and end it with a “BLT” Tartine with smoked pork belly and a glass of Pinot in the evening. Image by @brakethrough_ig. 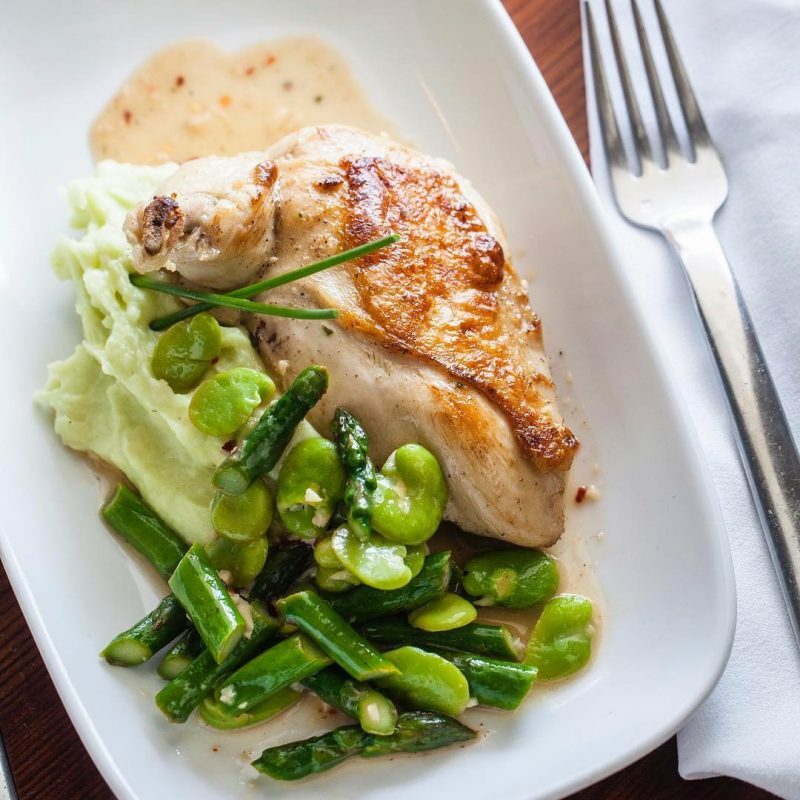 And don’t forget the restaurants that put Sonoma County cuisine on foodie photo fanatics' radar, like Zazu, Vintner’s Inn, Willi's Wine Bar, Farmhouse Inn and the girl in the fig. 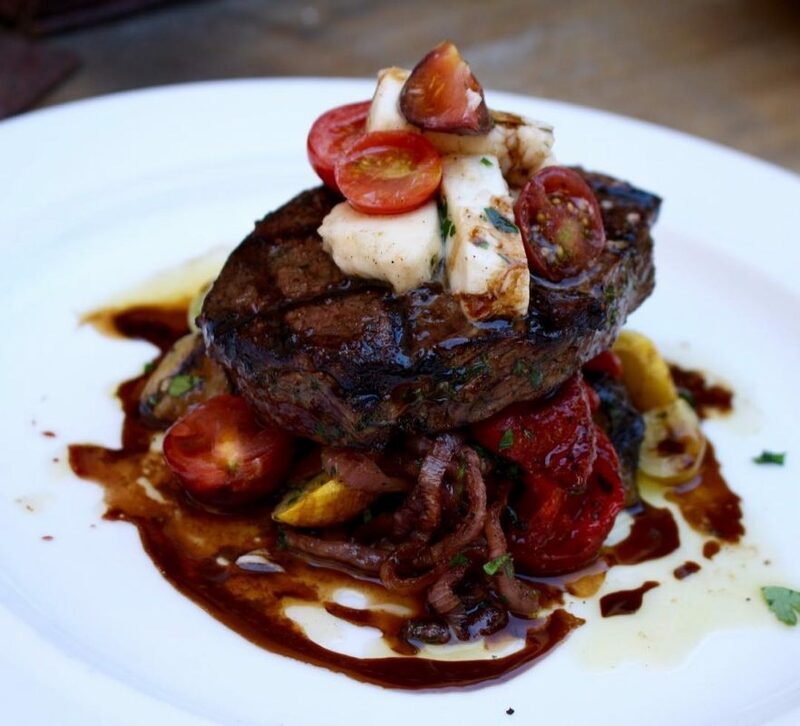 Their plates look as good as they taste. 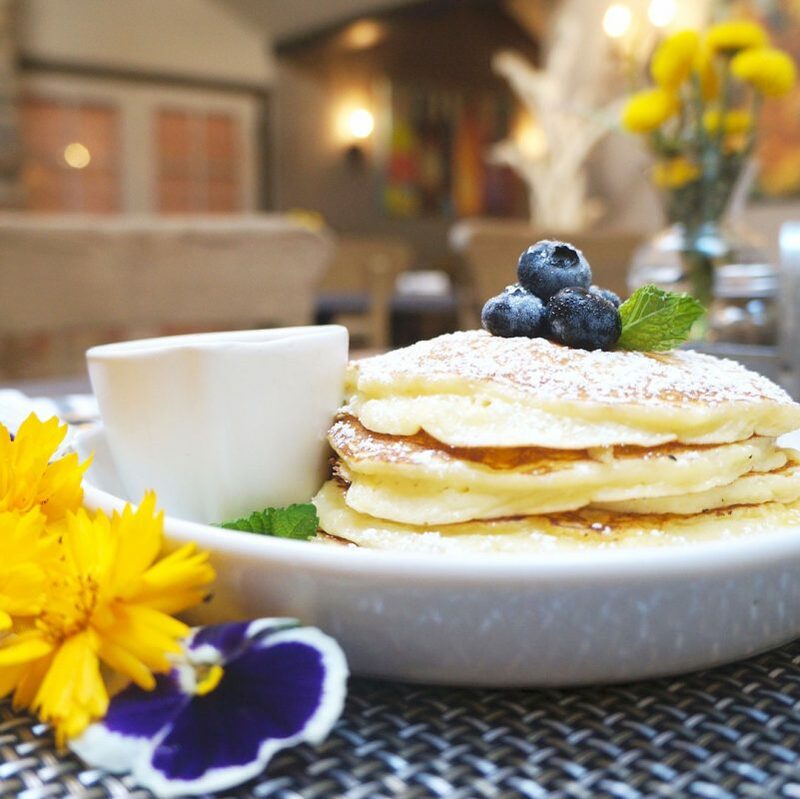 Image by Matt M.
Lemon Bellwether Farms Ricotta Pancakes. Served with a blueberry compote and pure maple syrup from @vintnersinn. 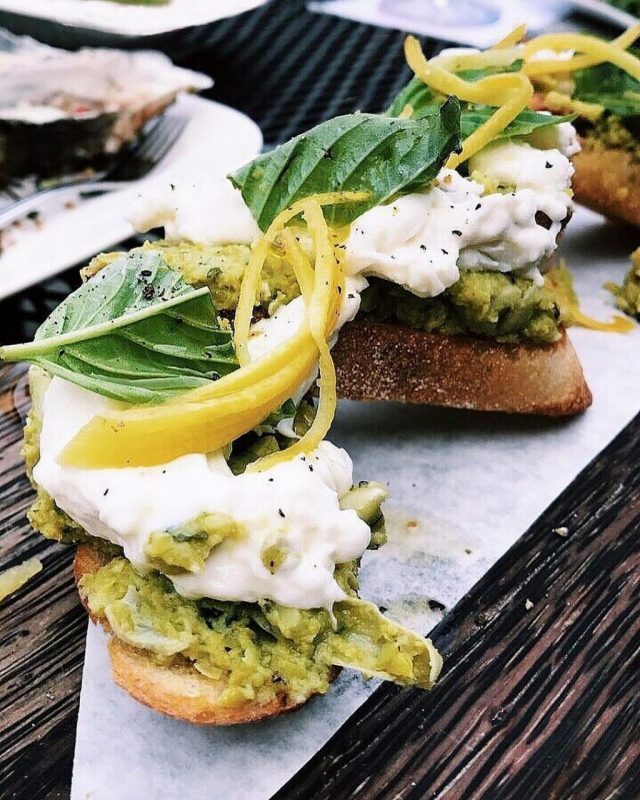 Fava Bean & Burrata Bruschetta at @williswinebar. Image by @AmusedBlog. 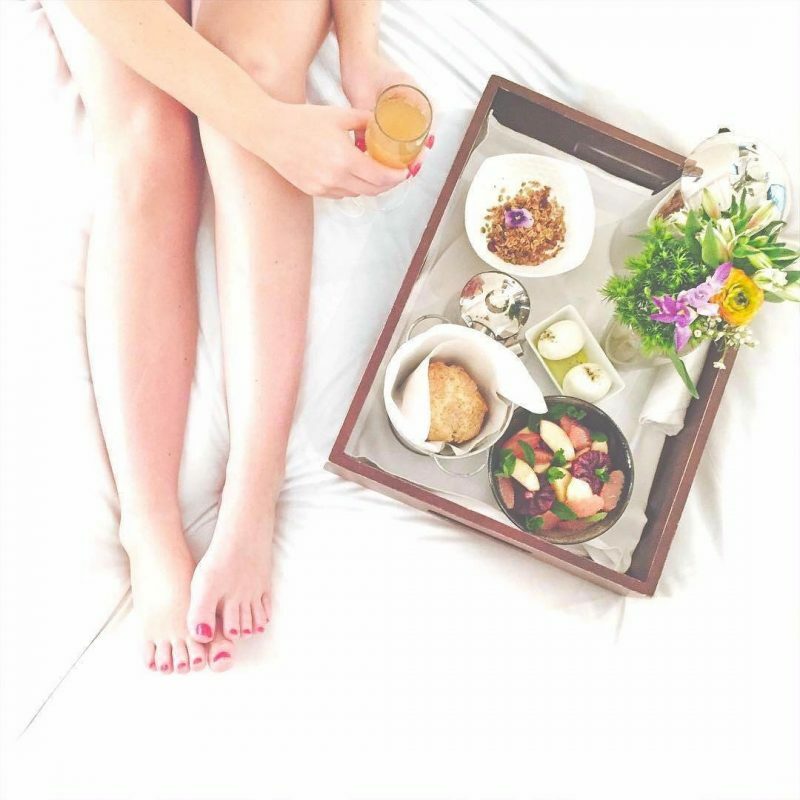 Breakfast in bed at @farmhouseinn. Image by @kristinclarkfsu. 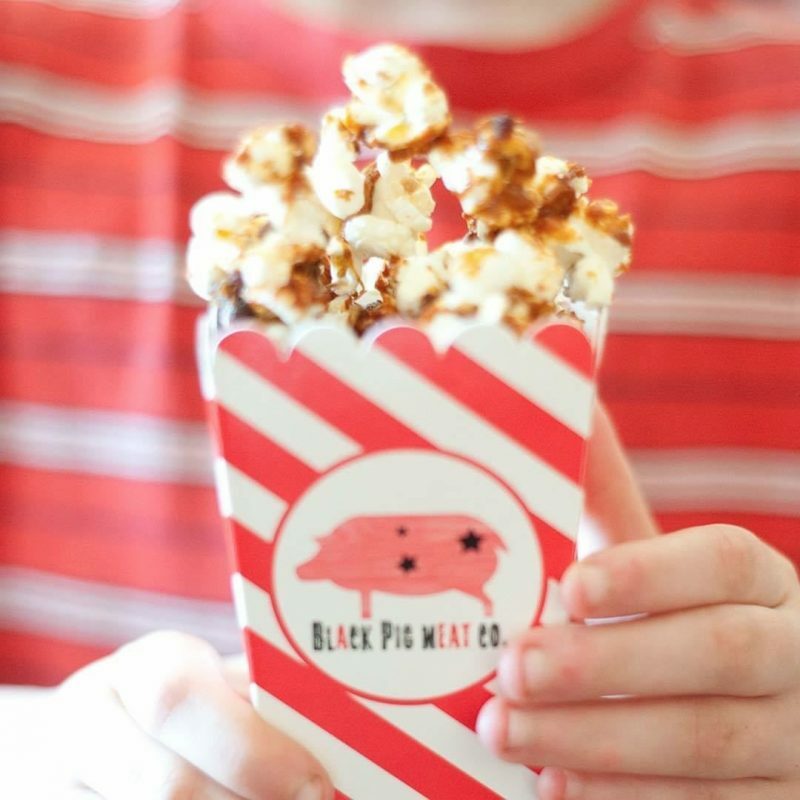 The Jax Rodeo, a sweet, savory and smoky caramel popcorn from @zazukitchen. 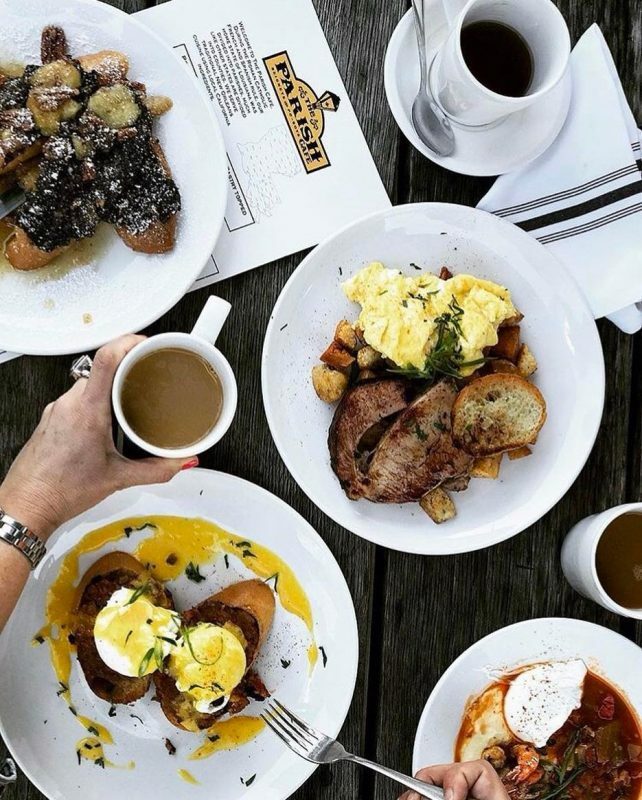 The rise of Instagram and crowdsourcing sites like Yelp and TripAdvisor have completely changed the dining game. 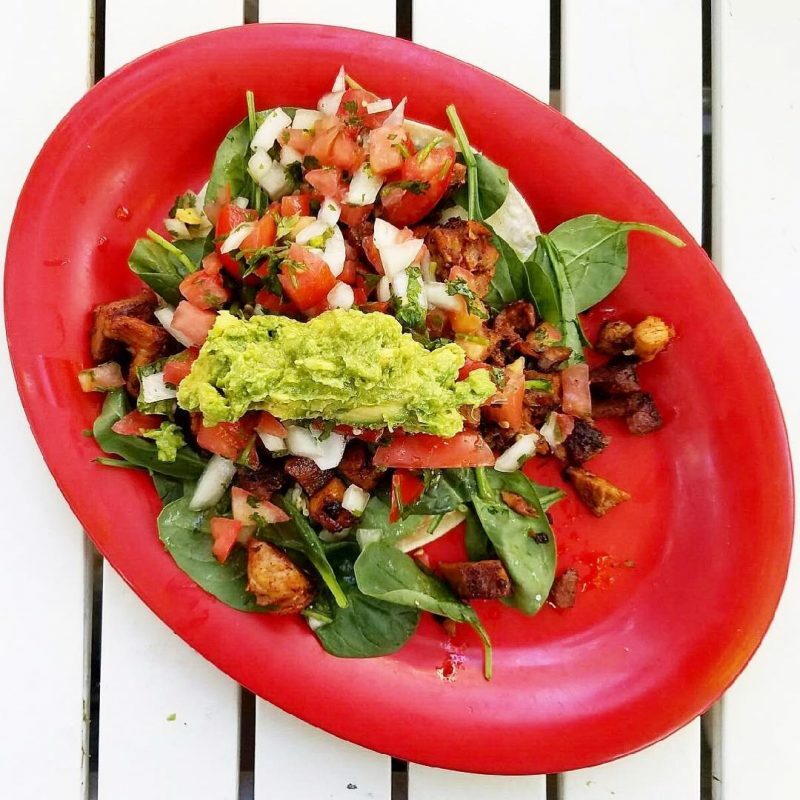 Many people now plan their next restaurant visit by checking out reviews and photos by fellow diners – and they make sure to not put the fork in the food before the meal has been immortalized on Instagram. 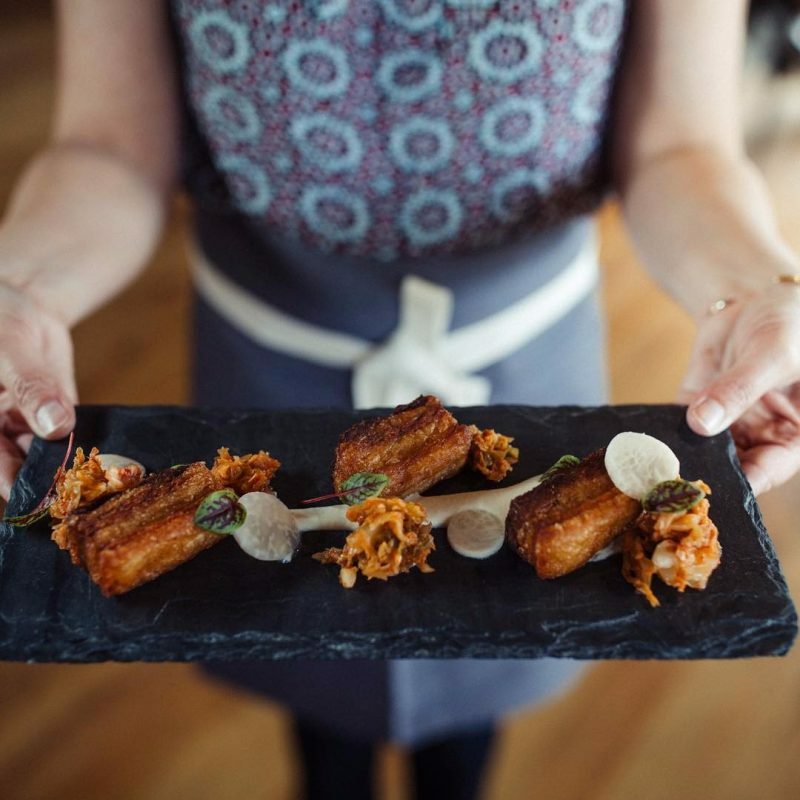 In Sonoma County, there are plenty of restaurants that serve up photogenic presentations, and foodies flock here for exceptional bites and stunning shots. 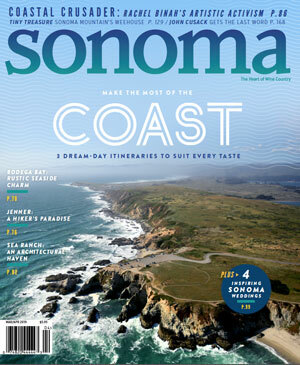 Click through the gallery above for some of the most Instagram-worthy restaurants and meals in Sonoma County, and share your Sonoma County restaurant pics with us by tagging @SonomaMag and using the hashtag #SonomaMagazine! 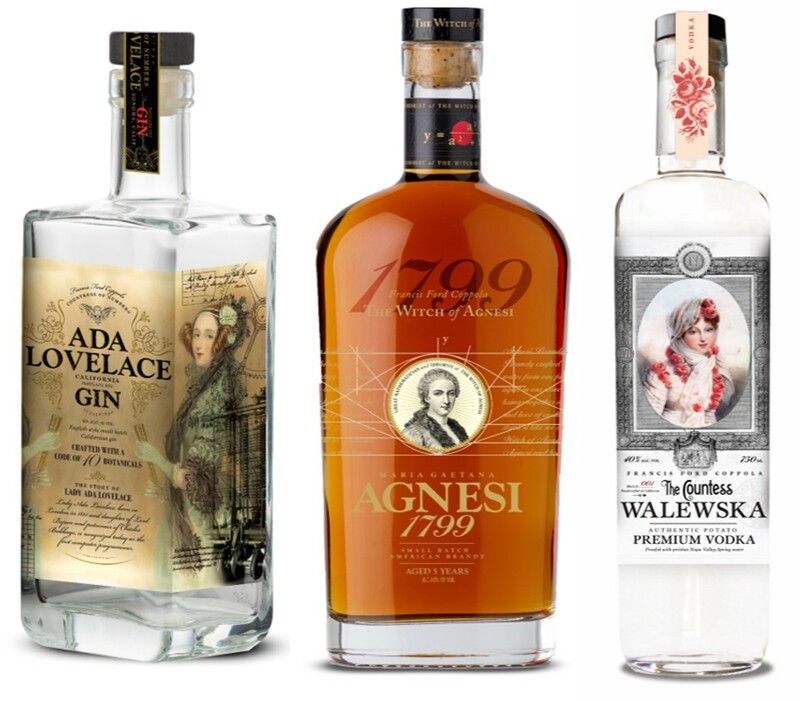 From movies to wine to a craft spirits line.